Sam Dawson, is the single father of Lucy Diamond and is a man with an intellectual disability. When Lucy's mother, a homeless woman, abandons her just after she's born, Sam decides to raise her himself. 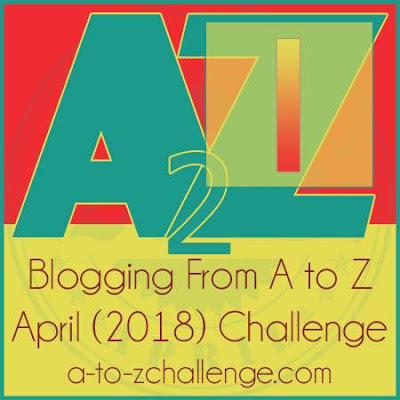 In spite of his disability, Sam has a supportive group of friends with developmental disabilities, as well as a kind, agoraphobic neighbor, Annie, who takes care of Lucy when Sam cannot. Lucy grows up in a loving and caring environment, but soon surpasses the mental ability of her father. She's very inquisitive and plagues her father with constant questions which he's not capable enough to answer. Soon, she is embarrassed by him in front of her friends and everyone around starts questioning his parenting abilities. When Lucy is sent to a foster home, Sam approaches the cold, high-powered lawyer, Rita Harrison. She comes with problems of her own and as she and Sam work together, he helps Rita with her family problems. When Randy Carpenter, Lucy's foster mother decided to adopt Lucy legally, Sam breaks down after opposing counsel convinces him that he is not capable of being a father. What will happen to Sam? Will Lucy realize the love that her father has for her and the love and concern she has for him? This is the first ever movie of Sean Penn that I watched and I became a fan for life. He was even nominated for a best actor Oscar for playing Sam so brilliantly. 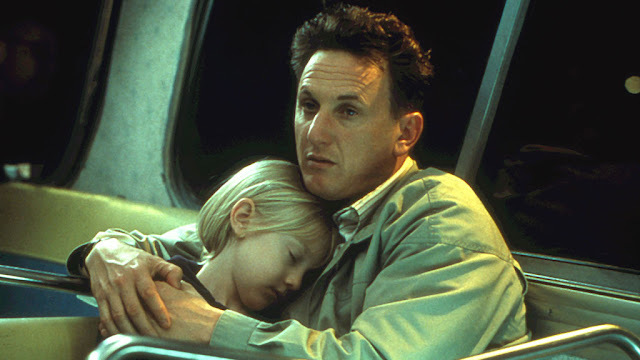 This movie introduces Dakota Fanning in a full fledged role at the tender age of seven. She's equally brilliant in the movie too. The story, though simple, is executed beautifully with the emotions at the center. The movie talks about love without conditions. Without a prerequisite. Without the need for a certain standard. That is the soul of the movie. While love is in the center, the movie talks about humanity too. The way Sam's friends help him out is quite something. They are there for him, no matter what. The scene where Lucy's mother leaves her in Sam's arms and runs away straight from the hospital, broke my heart. The look on Sam's face in that scene, shows the brilliant actor that he is. Michelle Pfeiffer in a supporting role as Sam's lawyer does complete justice. Dakota Fanning is a star here just like how her father named her on The Beatles song, Lucy in the sky with diamonds. Her acting is on point here! As a confused daughter battling the love for her father and her "image" in front of her friends. 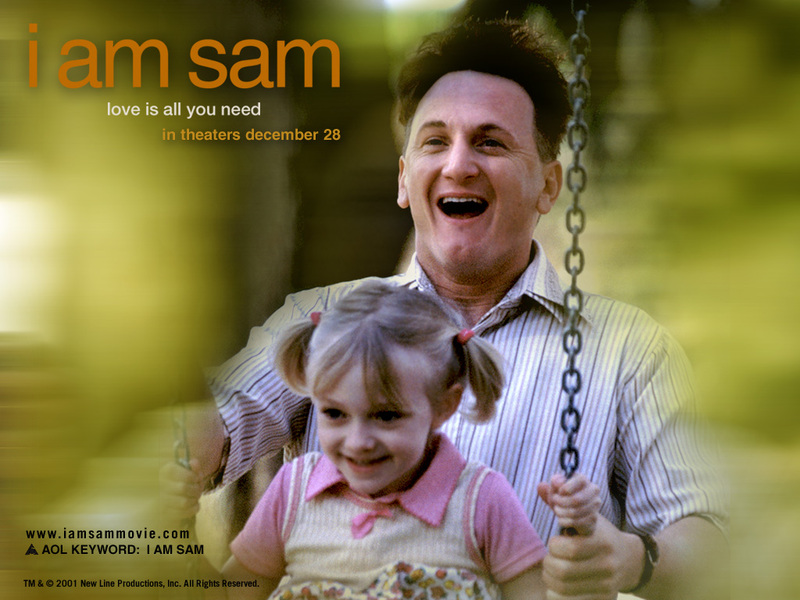 I Am Sam is a sweet, simple story about the love between a father and daughter with its heart at the right place. Runners-up: Inception (English), Ishqiya (Hindi). Is there a Hindi movie adaptation of this movie? The one starring Ajay Devgun? I havent watched, I am Sam, but now am keen to check it. Watch this one, Shilpa. It is one hell of a emotional ride. This will go on my 'the movies to watch' list. I loved this movie the first time I saw it. The actors simply took my breath away by their histrionics! The actors are simply brilliant in the movie! Oh yes, Shilpa, let's do that! Wow would love to watch this. Sounds incredibly amazing. Thank you for another brilliant review Soumya. Do watch this and let me know your thoughts about it, Natasha. Sounds like I'll need to buy a box of tissues with my popcorn for this one! Great review - I'm definitely checking this movie out. Oh yes! That you surely need. Do watch it! I have seen the Ajay Devgun version in bits and pieces and now am keen on figuring out how the original one shaped up. Watch the original! It is just brilliant because of Sean Penn. Do watch it and let me know what you think, Ramya! Ok this one I havent seen nor heard actually!! But it sounds like something I should watch ASAP- I love Dakota Fanning a lot and as a seven year old she must be precocious! Missed this one as well. When I started reading the story line it reminded me of a Tamil movie - the one starring Vikram? But I don't think so. This one sounds interesting! HAven't seen it but couldn't stop after seeing Inception's name. It's my favorite movie, will always be. Much respect to Christopher Nolan and Jonathan Nolan for writing that script that will continue to inspire the future generations!